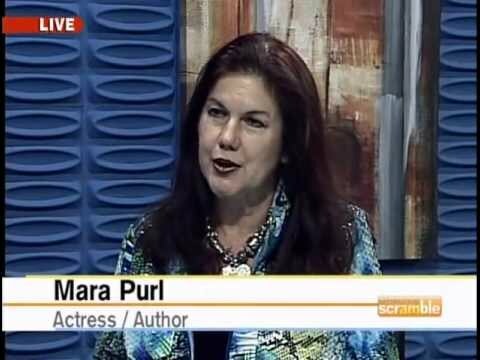 “When Hummers Dream” by Mara Purl – Amazon Month-of-May Story Deal! 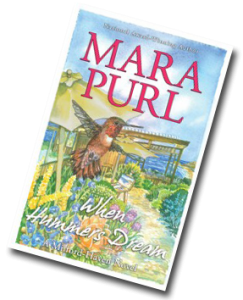 Mara Purl’s “When Hummers Dream” Amazon Month-of-May Story Deal! 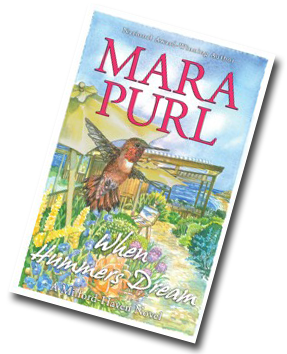 Amazon chose Mara’s best-selling novella “When Hummers Dream” for their Romance pick! The ebook will be available for $.99 for the entire month! This little jewel of a story makes a perfect gift for Mother’s Day! Artist Miranda Jones heads to her favorite outdoor restaurant to paint their remarkable garden, when a hummer flies into a glass wall. While he travels lost and out-of-body, Miranda calls his spirit back by painting his dream-garden. But first, she must overcome the harsh criticisms of lookers-on, and her own fears that the precious bird will never return. 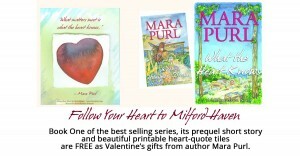 Based on real experiences, a true “heart” story. 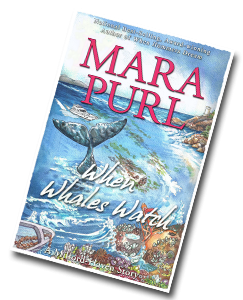 “When Whales Watch” by Mara Purl – Amazon Month-of-June Story Deal! 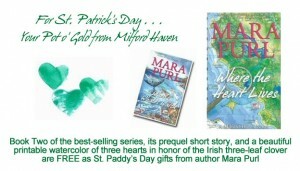 Mara Purl’s “When Whales Watch” Amazon Month-of-June Story Deal! 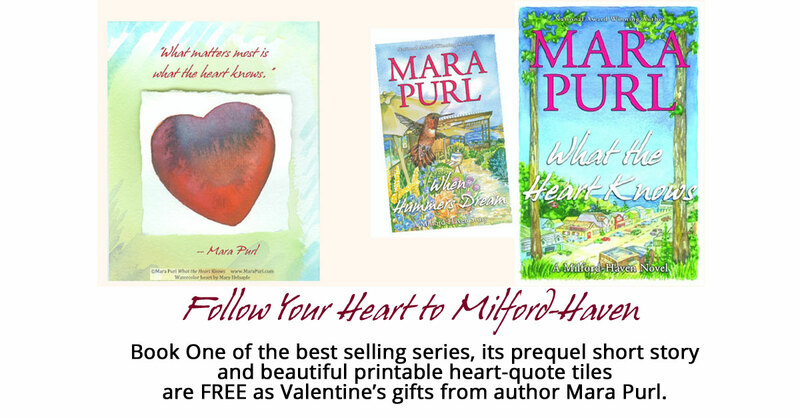 Amazon chose Mara’s best-selling novella “When Whales Watch” for their Romance pick! This whale-of-a-tale is a high-seas adventure that makes a perfect gift for Father’s Day! Three men go out on a sleek, high-speed boat to enjoy the scenery and a few beers, but you won’t believe what they encounter, nor who it is that saves them from a deadly crash. Meanwhile, unsuspecting whale-watchers are training their binoculars on the migrating grays. But who is the real “watcher” in this tail? You’ll be swept across the Pacific, and plunge beneath the waves in this carefully researched, taut adventure!